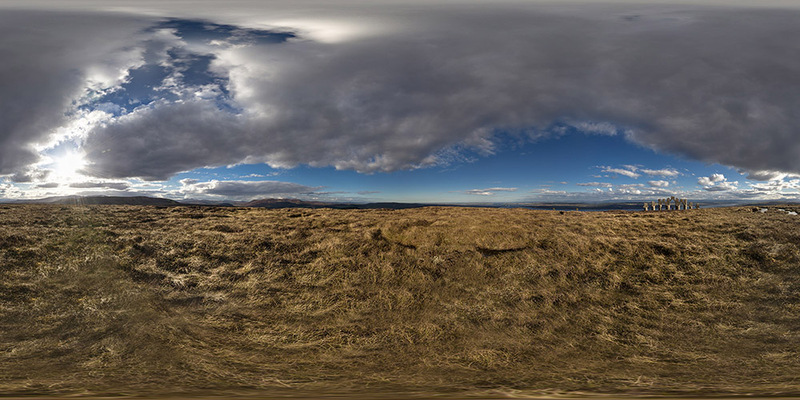 Many landscapes in Scotland lend themselves to panoramic photography. From wide open views, beaches, coastal views, islands and historical sites, the spirit of place is enhanced through 360° photography and samples of my work are presented below. Wide angle panoramas are usually hand held sequences of images, stitched together to produce the final image. I enjoy preesenting a wider view of the landscape to allow a full appreciation of the scale and perspective within the view. Adding an aerial perspective brings another new dimension, particularly where a familiar view is presented from a new, previously unseen viewpoint. Each 360° panorama starts as a mosaic of up to 250 photographs stitched, blended and manipulated through several pieces of software to achieve the final result. Constantly changing skies, shadows and moving objects add to the complexity. Click on any of the photographs below and a new window will open displaying the panorama as a high resolution, interactive view. Having opened the panoramic image, use the controls to pan, zoom and navigate. Right clicking 360° panoramas will allow viewing in differing perspectives. A new take on a previous photograph. I have been developing aerial panoramas for the last four years and this is a retake of one of my earlier aerial panoramas from January 2014. Hardware, software and techniques have moved on considerably during that time, allowing for some great developments. 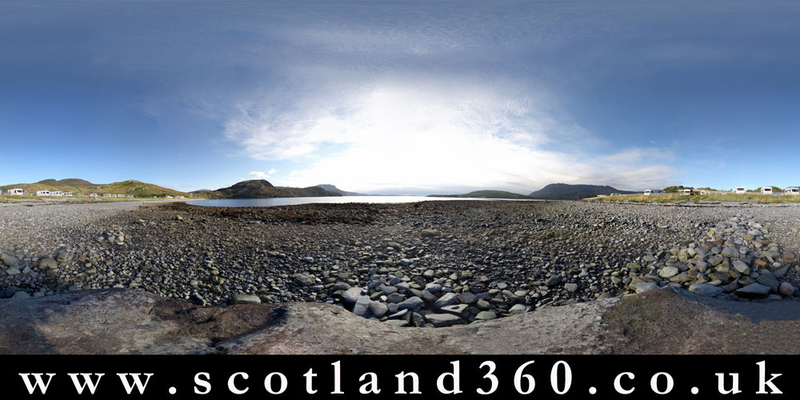 Photographed in early December with the late afternoon light at Avoch Harbour, this 360° panorama starts by looks out across the Moray Firth towards Ormond Hill. Rotating the panorama reveals the masts on the pier and the backdrop of the houses along the main road at Avoch. Photographed from high up above Culbokie on the Black Isle, the sun sets over the Strathconon hills with the sunset colours radiating out over Ben Wyvis, the Cromarty Firth and the Black Isle fields. This is one of my favourite local views, photographed using my drone from an aerial perspective. The advantage of height, an unobstructed view and the ability to stitch several images together allows for composition and framing that would not be possible from the ground. Situated above the Cromarty Firth, Culbokie on the Black Isle, enjoys spectacular views northwards to Ben Wyvis and the Ross-shire hills. 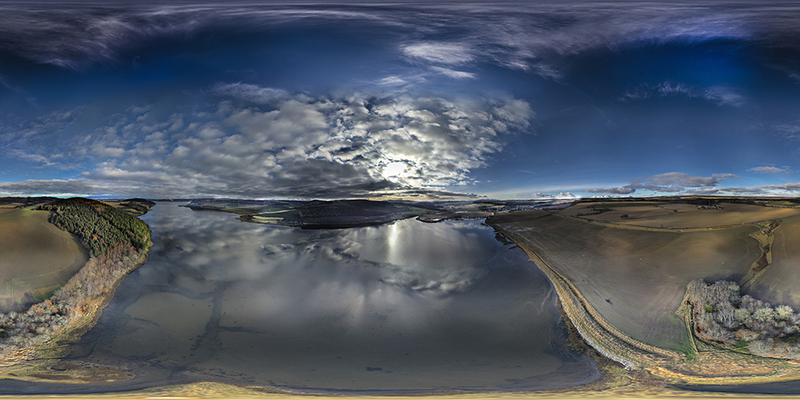 Taken from high above Culbokie Loch, this 360° aerial panorama captures the vistas from the air. 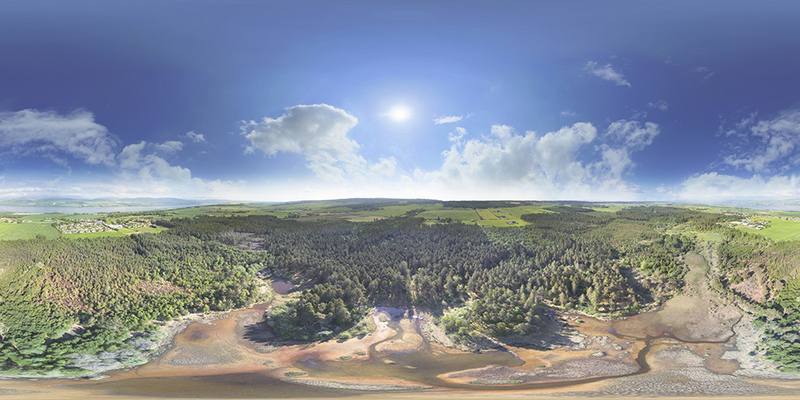 This full 360° aerial panorama is one of a series of aerial panoramas on the Black Isle. High above the shores of Munlochy Bay on the Black Isle, this 360° panorama depicts the cloud reflections on the stillness of the bay. 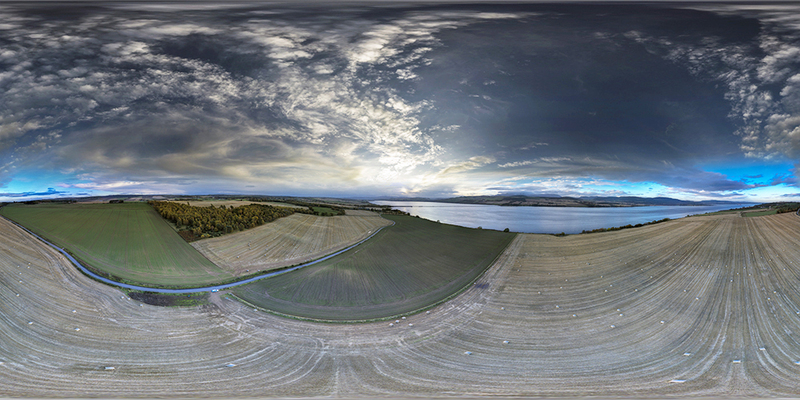 Photographed on the shores of the Cromarty Firth, this 360° aerial panorama looks across the Cromarty Bridge, along the Cromarty Firth and across the Black Isle, photographed from 100m above the ground. Looking towards Cromarty village and the fabrication yard at Nigg from the South Sutor path at Cromarty. A high resolution composite, this panorama can be panned and zoomed. I safety marshall at a number of endurance events and the "Loch Gu Loch" swimrun has been a regular fixture on the calendar since it started. Almost 50km of running, interspersed with 7km of swimming make this quite an endurance event. The competitors start by swimming across Loch Ness followed by Lochs Duntelchaig, Ceo Glais, Mor and Tarf - finishing off with a final swim across Loch Ness again for good measure! This panorama was taken on Loch Tarf where the swimmers swim between the five islands across the loch. A blue sky day on the Black Isle and a view down to the Cromarty Firth and Ben Wyvis from Culbokie. The Broch of Mousa on Shetland. An Iron Age broch constructed around 100BC, this is one of the best preserved prehistoric buildings in Europe. Mousa Broch as seen from my sea kayak on the crossing from the Shetland mainland to the island of Mousa. Photographed from on board the MV Cuma, this panorama looks back at the St Kilda archipelago after a terrific week of sea kayaking on the "Islands on the Edge of the World". An evening stroll on Hirta and an opportunity to capture the views across the main island of Hirta from The Gap near Oisebhal. Panorama photography from a sea kayak! Looking back to Hirta and the main islands of the St Kilda archipelago whilst kayaking the open crossing to the neighbouring island of Boreray. A wide angle panorama of the island of Dun and Ruaival Hill photographed from Village Bay whilst in my sea kayak. This was the start of the journey to the neighbouring island of Boreray; with calm seas and excellent visibility the vistas were stunning. July 2014 and a sea kayaking trip to St Kilda in amazing weather. This allowed us an opportunity to explore the coastline of this unique and remote archipelago by sea kayak with an unrivaled view of the islands and their rugged grandeur. During the circumnavigation of Hirta, the main island of the archipelago, there are few areas to land but Mol Ghiasgar on the northern coast of Hirta is one such place. With a rocky, boulder beach, it's possible to land by sea kayak at low tide affording a great view to neighbouring Boreray. 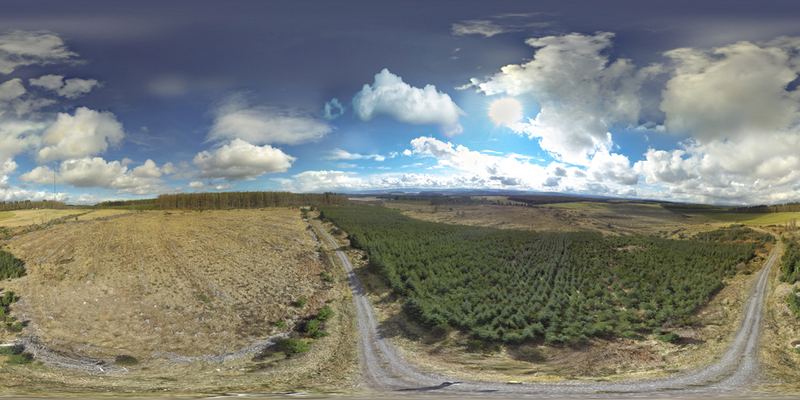 The last stages in the successful development of 360° aerial panoramas and an aerial perspective of the young woodland near to the Mount Eagle mast on the Black Isle. A 360° aerial panorama from the football pitch in Culbokie on the Black Isle. Looking north, Ben Wyvis has a covering of snow and Fyrish and Strathrory can be seen across the Cromarty Firth. The last night of a great sea kayaking holiday in Arisaig with Tania. The setting sun over Rum and Eigg made for a beautiful evening. For photographs of kayaking to Knoydart and around the Arisaig skerries, please visit my Photoblog page. At the end of the day, enjoying the vista from Ardmair. Situated on the end of a crag and tail geological feature, this Iron Age hillfort sits on an impressive viewpoint above the Cromarty Firth. Views to Ben Wyvis, Strathconon and Strathpeffer can clearly be seen in this panorama. 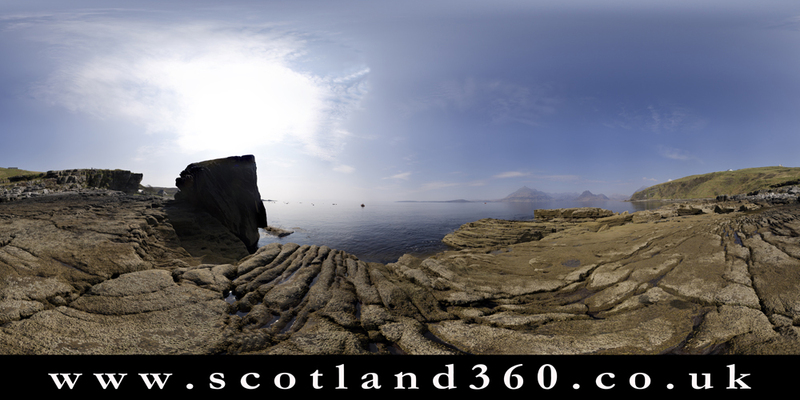 The foreshore at Elgol on an atmospheric morning, this full 360° panorama looks across Loch Scavaig to the Cuillin hills of Skye. A sunny Spring morning at Dun Telve Broch in Glenelg. One of a pair of well-preserved Iron Age brochs in the area, the impressive building is a fortified homestead, protecting its occupants and symbolising their ownership of surrounding farmland. 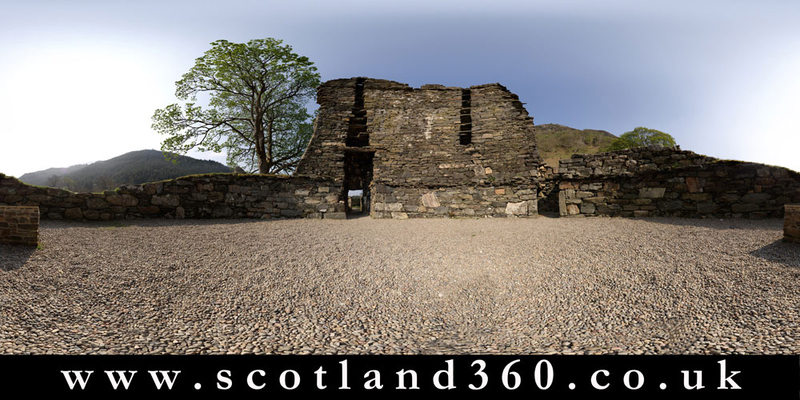 Now in the care of the Historic Scotland, the brochs at Glenelg are significant archaeological examples of an ingenious native architectural design. This full 360° panorama pans around the interior of Dun Telve and the sycamore tree guarding the entrance. Looking across to the Cromarty Bridge with the head of the Cromarty Firth in the distance and Ben Wyvis to the right hand side. Cromarty Harbour on the entrance top the Cromarty Firth, one of the oldest working harbours in the local area. Fyrish Monument sits on the top of Cnoc Fyrish, near Evanton on the edge of the Cromarty Firth. At 453m, Cnoc Fyrish isn't a major hill, but it does have some great views across the Cromarty Firth, eastwards out to the North Sea, westwards towards Ben Wyvis and over to the Black Isle. The monument itself was built in 1783 by the local laird, Sir Hector Munro. He provided work for locals at a time of poverty following the Highland Clearances and the monument on Fyrish is a replica of the gates of Nagatam in India. Sir Hector had defeated Dutch forces at the battle of Nagatam and the monument was said to further enhance his glory. This is an early panorama which has recently been reworked and I have added in a number of views of and from the Fyrish Monument. Click on the image above to access the high resolution composite panorama. This 360° interactive panorama can be panned and zoomed and has a number of embedded hotspots. 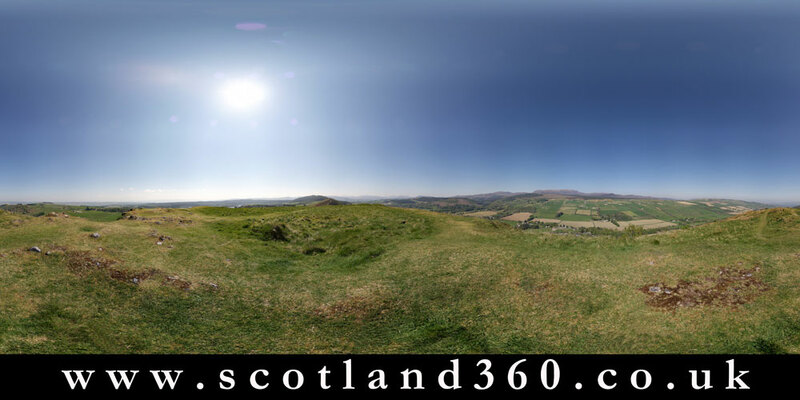 Navigate the hotspots inside the panorama for a virtual tour of the views from Fyrish Monument. At 1084m high, Beinn Dearg, near Ullapool is one of the highest hills in the local area. Approached from Inverlael and then up Gleann na Squaib, the walk into this hill provides superb views onto the northern crags of Beinn Dearg. This panorama was taken as a test for a commission for the BBC but the low cloud lingering just above the summit didn't allow for the otherwise spectacular views to be shown at their best. There's always another day though when it comes to the Scottish hills. The image above is part of a Virtual Tour of the Fannich Mountains. Click on the photograph to access the tour then select Beinn Dearg from the opening map and enjoy touring the summits across the seasons! Find the links to neighbouring hills and explore the view from nearby summits. 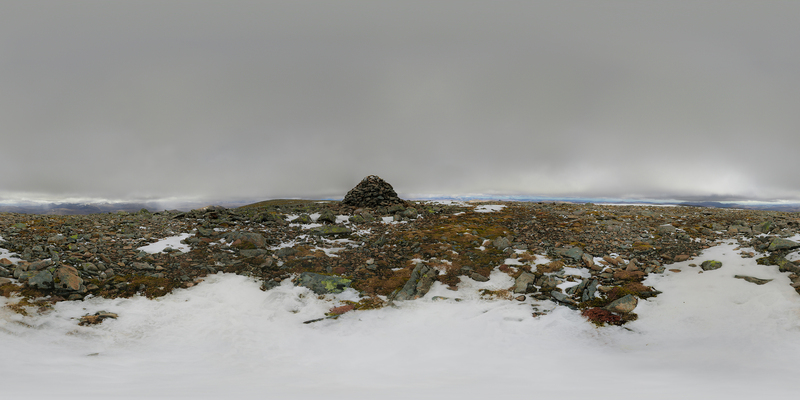 And if you would like to see nearby summits named, then find and click on the links at the base of some of the cairns. Three panoramic perspectives on the Cromarty Firth as seen from Balblair Point on the Black Isle. As high resolution composites, these panorama can be panned and zoomed. Looking back over the Am Fasarinen pinnacles on Liathach after a full traverse of this classic mountain route. Nigg bay and the view northwards from Gallow Hill above the village of Cromarty.